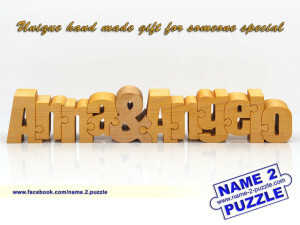 The amazing handmade wooden name puzzles are a special gift for everyone. They are perfect for everyone – mom, dad, brothers and sisters, friends, etc. Surprise your special ones with one of these name puzzles. Have your friend’s and family’s names carved from a single solid piece of pine wood.